His Grace Joshua Mar Ignathios was born on 24th May 1950 at Kottarakara in the civil District of Kollam as the son of Late Mr. Kizhakkevettil Oomen Varghese and Ms Annamma Varghese. His home parish is Holy Trinity Malankara Catholic Church, Kizhaketheruvu, Kottarakara. He had his primary education at the St. Mary’s School, Kizhaketheruvu and he completed his schooling at Government High School Kottarakkara and passed 10th class in 1967. The Metropolitan has an excellent academic career to his credit. He did his Pre Degree Course at the Mar Ivanios College in Trivandrum. 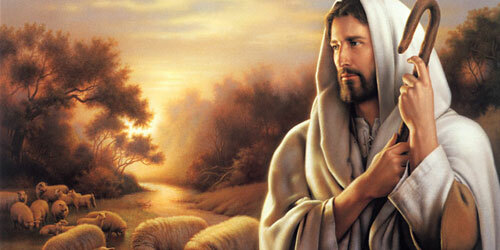 He has taken Bachelor of Theology Degree from Urban University, Rome in 1978. He has graduated from Christian College, Marthandom in Tamil Nadu, with History, Economics, and Politics as his optional subjects. He has secured Master Degree from Madurai Kamaraj University, Tamil Nadu in 1984. He has also earned Bachelor and Master Degree in Education from Madurai Kamaraj University in 1985 and 1987 respectively. He obtained Ph. D from Stella Matituna College of Education, Chennai of the Madras University in 2000. The thesis of his doctorate was “Leadership, Organisational Health with School Effectiveness”. The thesis makes a comparative study of Higher Secondary level Schooling in the states of Kerala and Tamilnadu. The thesis reveals the Metropolitan’s vision on education and his excellent social outlook. As a young boy Mar Ignathios entered St. Aloysius Minor Seminary, Trivandrum in 1967 with the earnest desire to become a priest. He gained profound knowledge in Philosophy and Theology during the tenure from June 1970-1978 at the St. Joseph’s Seminary, Tiruchirapally, Tamil Nadu. He was ordained on April 2nd 1978 by the Late Benedict Mar Gregorios, Metropolitan-Archbishop of Trivandrum. Ever since his sacerdotal ordination in 1978, His Grace has been carrying out excellent ministry in various parishes and mission stations in the Major Archieparchy of Trivandrum. The present Syro Malankara missions and institutions in Chennai, Tamil Nadu, outside the jurisdictional territory of the Malankara Catholic Church, owe much to the fore-sight and commitment of His Grace, for their present stature and rapid growth. His Grace’s active and vibrant ministry in the parishes of Kirathoor, Manjathoppe, Vimalapuram, Susaipuram from 1978-1983 and Padi, Perampur and Thiruvottiyoor from 1983 to 1996, stand as living testimony for his organizational competence. To cite another noteworthy venture is the launching of Mar Ivanios Dispensary in Chennai, Tamil Nadu. He was the founder of Sacred Heart School, Chennai and served as its Principal from its inception. By channelizing his enthusiasm and determination, he established the Mar Gregorios College in 1994. From1994-1996, he served as its manager and rendered excellent service. In May 1996 he was appointed as the Vicar General of the Major Archieparchy of Trivandrum. He was made Coreepiscopo in 1997. On 29th June 1998 he has been appointed as the Auxiliary Bishop of the Major Archieparchy of Trivandrum by His Beatitude Moron Mor Cyril Mar Baselios with the consent of the Holy See. The Catholic Church in Kerala entrusted Mar Ignathios challenging assignments, knowing his dedication and perseverance. He was the Vice Chairman of the Temperance Movement of Kerala Catholic Bishop’s Conference (KCBC) during 1998-2000. During this span of period he remained as the catalytic force behind the Temperance Movement. He was elected as the Secretary of the KCBC and he served the Church in this capacity during 2000-2002. As the Chairman of Temperance Movement from the period 2002- 2007, he streamlined the Movement efficiently. In December 2007, he was elected as the Vice President of the KCBC. In addition to this, His Grace holds chairmanship of the Labour Commission of the Catholic Bishop’s Conference of India (CBCI) from 2002 onwards. From 2010 he is the President of CBCI Commission for Education and Culture. Each and every laudable position he held, remarkably portrayed his organizational skill and leadership quality. He was the President of KCBC from 2010 t0 2011. At present he is the Chairman of KCBC Commission for Vigilance and harmony. Being an active member of the Nilackal Ecumenical Trust, he discharges brilliant ministry in the ecumenical activities and relentlessly works for fostering communal harmony and integration. Along with the Bishops of the Episcopal Churches, His Grace has made several ecumenical voyages and visited many international pilgrim centres. He also visited the World Council of Churches’ centre at Geneva and attended an International Conference organized by it. Along with the members of the Ecumenical Trust he visited the birth place of Martin Luther at Wittenberg, Germany. His Grace has visited several countries in the West and East, and in all the Continents, including Italy, Germany, Belgium, Poland, Switzerland, Austria, France, Spain, Portugal, U.S.A, U.K, Brazil, Japan, Malaysia, Thailand, Singapore, Sri Lanka, Israel, Egypt, Australia, Sharjah, Bahrain, Dubai, Doha and Kuwait, for attending various International Conferences organized either by the CBCI or the Holy See. He has published many articles on various topics on education and religious subjects, and has published his thesis with the title ‘School Effectiveness through Leadership Style and Organizational Health’. The thesis naturally has aroused much interest among experts and the public. The Holy Synod of the Malankara Catholic Church with the concurrence of the Holy See has appointed His Grace as the first bishop of the newly erected Eparchy of Mavelikara. The inauguration of the new Eparchy and the installation of Mar Ignathios as its bishop took place on 16th February 2007. His Grace continues his Episcopal ministry in the infant Diocese by leading the clergy and faithful in truth and charity. His Grace takes particular attention in maintaining social rapport and contacts and is keen to observe the major changes reflecting on every walk of life. As a voracious reader His Grace is familiar with various branches of knowledge. His Grace serves as retreat preacher in several retreat centres associated with bishops, priests and religious across Kerala and outside the State. He is known as an eloquent preacher and powerful speaker and has an admirable command over many languages including Malayalam, Tamil and English. As an young boy Mar Ignathios entered St. Aloysius Minor Seminary, Trivandrum in 1967 with the earnest desire to become a priest. He gained profound knowledge in Philosophy and Theology during the tenure from June 1970-1978 at the St. Joseph’s Seminary, Tiruchirapally, Tamil Nadu. He was ordained on April 2nd 1978 by the Late Benedict Mar Gregorios, Metropolitan-Archbishop of Trivandrum. Ever since his sacerdotal ordination in 1978, His Grace has been carrying out excellent ministry in various parishes and mission stations in the Major Archieparchy of Trivandrum. The present Syro Malankara missions and institutions in Chennai, Tamil Nadu, outside the jurisdictional territory of the Malankara Catholic Church, owe much to the fore-sight and commitment of His Grace, for their present stature and rapid growth. His Grace’s active and vibrant ministry in the parishes of Kirathoor, Manjathoppe, Vimalapuram, Susaipuram from 1978-1983 and Padi, Perampur and Thiruvottiyoor from 1983 to 1996, stand as living testimony for his organizational competence. To cite another noteworthy venture is the launching of Mar Ivanios Dispensary in Chennai, Tamil Nadu. He was the founder of Sacred Heart School, Chennai and served as its Principal from its inception. By channelizing his enthusiasm and determination, he established the Mar Gregorios College in 1994. From1994-1996, he served as its manager and rendered excellent service. In May 1996 he was appointed as the Vicar General of the Major Archieparchy of Trivandrum. He was made Coreepiscopo in 1997. 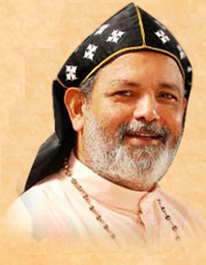 On 29th June 1998 he has been appointed as the Auxiliary Bishop of the Major Archieparchy of Trivandrum by His Beatitude Moron Mor Cyril Mar Baselios with the consent of the Holy See. The Catholic Church in Kerala entrusted Mar Ignathios challenging assignments, knowing his dedication and perseverance. He was the Vice Chairman of the Temperance Movement of Kerala Catholic Bishop’s Conference (KCBC) during 1998-2000. During this span of period he remained as the catalytic force behind the Temperance Movement. He was elected as the Secretary of the KCBC and he served the Church in this capacity during 2000-2002. As the Chairman of Temperance Movement from the period 2002- 2007, he streamlined the Movement efficiently. In December 2007, he was elected as the Vice President of the KCBC. In addition to this, His Grace holds chairmanship of the Labour Commission of the Catholic Bishop’s Conference of India (CBCI) from 2002 onwards. From 2010 he is the President of CBCI Commission for Education and Culture. Each and every laudable position he held, remarkably portrayed his organizational skill and leadership quality. He was the President of KCBC from 2010 t0 2011. At present he is the Chairman of KCBC Commission for Vigilance and harmony. Being an active member of the Nilackal Ecumenical Trust, he discharges brilliant ministry in the ecumenical activities and relentlessly works for fostering communal harmony and integration. Along with the Bishops of the Episcopal Churches, His Grace has made several ecumenical voyages and visited many international pilgrim centres. He also visited the World Council of Churches’ centre at Geneva and attended an International Conference organized by it. Along with the members of the Ecumenical Trust he visited the birth place of Martin Luther at Wittenberg, Germany. His Grace has visited several countries in the West and East, and in all the Continents, including Italy, Germany, Belgium, Poland, Switzerland, Austria, France, Spain, Portugal, U.S.A, U.K, Brazil, Japan, Malaysia, Thailand, Singapore, Sri Lanka, Israel, Egypt, Australia, Sharjah, Bahrain, Dubai, Doha and Kuwait, for attending various International Conferences organized either by the CBCI or the Holy See. He has published many articles on various topics on education and religious subjects, and has published his thesis with the title ‘School Effectiveness through Leadership Style and Organizational Health’. The thesis naturally has aroused much interest among experts and the public. The Holy Synod of the Malankara Catholic Church with the concurrence of the Holy See has appointed His Grace as the first bishop of the newly erected Eparchy of Mavelikara. The inauguration of the new Eparchy and the installation of Mar Ignathios as its bishop took place on 16th February 2007. His Grace continues his Episcopal ministry in the infant Diocese by leading the clergy and faithful in truth and charity. His Grace takes particular attention in maintaining social rapport and contacts and is keen to observe the major changes reflecting on every walk of life. As a voracious reader His Grace is familiar with various branches of knowledge. His Grace serves as retreat preacher in several retreat centres associated with bishops, priests and religious across Kerala and outside the State. He is known as an eloquent preacher and powerful speaker and has an admirable command over many languages including Malayalam, Tamil and English.